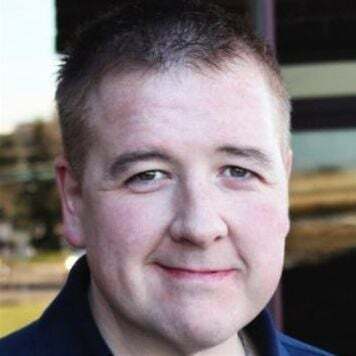 The Kentico User Group is a collaborative effort by Kentico Partners to provide education, knowledge, and best practices to the community of individuals who work with Kentico EMS and Kentico Cloud on a regular basis or who are interested in learning more about the Kentico platform. High Monkey, Minneapolis based digital agency, took the Kentico User Group website to the complete redesign to open it to the global Kentico community. The overall goal of the new Kentico User Group site for High Monkey was to create a clearinghouse for all Kentico users and events while making it easier for user groups to connect with one another regardless of location. The Kentico User Group website needed to be redesigned to provide a central location for all Kentico user group events to be published, to provide information about new and existing user groups, and to provide easy access to online resources (blogs, technical documentation, and product information). High Monkey decided to use Kentico Cloud to manage and deliver the content for the new site while building the site using .NET core and MVC running on a High Monkey web server. One objective of the Kentico User Group website was to speed up the content creation process by providing Kentico Cloud authorship permissions to Kentico Partner representatives who sponsor local user groups so that content could be added or edited by user groups anywhere in the world. 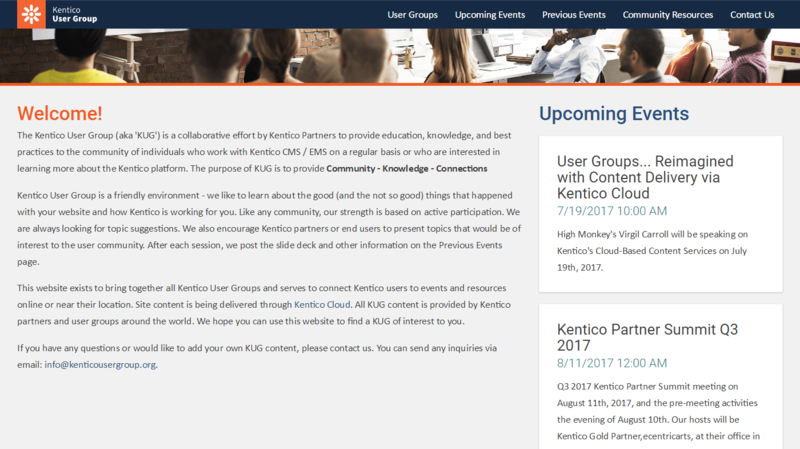 Check out the new redesigned Kentico User Group website. With the help of Kentico Cloud, High Monkey was able to launch the website on time. Content editors were able to create and edit content seamlessly while the site was being developed, which cut down on overall project time. The Kentico User Group website was built with the intention to bring the Kentico Community together and increase activity among user groups around the globe. By using the Kentico Cloud platform, user group organizers will have the ability to update and add their own content from across the globe. The first version of the Kentico User Group website we built using the Kentico CMS platform. With the release of Kentico Cloud, we started thinking about how we could promote cloud-first content delivery. We realized that we had the perfect tool to showcase how content can be managed and delivered to both Kentico Partners who manage the user groups and the people who participate in the user groups. Kentico User Group now has a platform that is open to the global Kentico community to promote a sense of shared community, provide information about events, and to provide information and education about Kentico EMS and Kentico Cloud. Stay in the loop. Get the hottest updates while they're fresh!